Being that I live in Kansas City — a town that’s obsessed with its sports teams — I’m a sports fan. And when you’re a Kansas City sports fan, there are a few athletes from this area who are pretty much worshiped. George Brett … Tom Watson … Buck O’Neil. And Will Shields. We thought that for Fit Bottomed Dudes’ Week it would be awesome to talk to Shields about the cool new equipment they’re using and why — plus pick his brain on what keeps him motivated and fit! How long have you been using the VertiMax at your club and why do you find it to be great for training? We have been using the VertiMax for more than three years. The VertiMax gives us options to change and add new elements to a person’s workout. It gives us that opportunity to get our athletes ahead of the competition. What does it do best and what type of person would you recommend it for? We can use the VertiMax to build the power in an athlete. We use our VertiMax for youth power builders, boxers — and even some moms use it when they are preparing for all kinds of training events. What’s your favorite move on it? I like to sit the VertiMax on end and use it for pass protection. 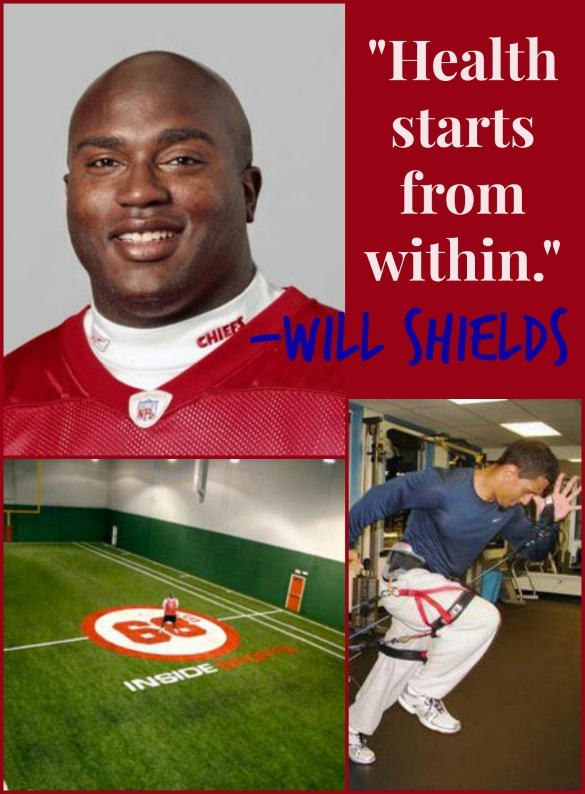 What’s it like going from training for the NFL season to just working out to be healthy? It’s a hard transition. You’re working out to make a living to working out to live. I had to take a few years to transition. You never missed a single game in your NFL career. What do you credit that to? I think that it comes from luck, preparation and a great set of trainers. What’s the best piece of advice that you can give others to be healthy and fit? Health starts from within.